Below is a release from Andy Brown and Mark Sedran following their incident at the Pines. 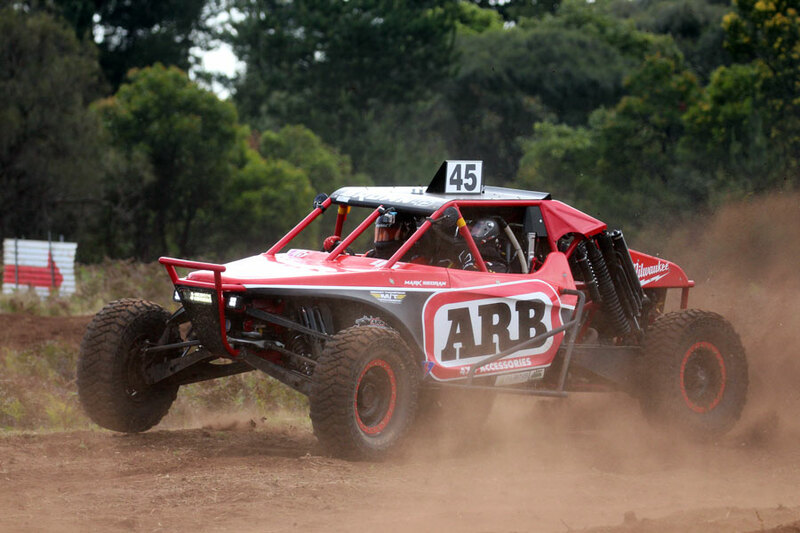 Last weekend at the Pines Enduro, Andy Brown and Mark Sedran were involved in an incident on the first lap, they missed a caution and went over end for end a number of times. Whilst they were both pretty banged up, yesterday they were both discharged from hospital to head home and get on the road to recovery. Both Andy and Mark want to say a big thank you to those who helped over the weekend and to those who have sent well wishes throughout the course of the week, it really has been quite overwhelming the amount of love shown from the off road community. To those who stopped and helped at the accident scene, Toddy Lehmann and Ace Bermingham, Jason Peel and Andy Murdock, Greg Gartner and Jamie Jennings, Matt Hanson and Nigel Pendlebury, Mark and Matthew Burrows. Your efforts and collective calmness in an unpleasant circumstance help immensely, we cannot thank you enough, sorry for the sights you had to encounter. To the paramedics and recovery crews onsite, your professionalism, response times and scene management made us both feel we were in very safe hands. 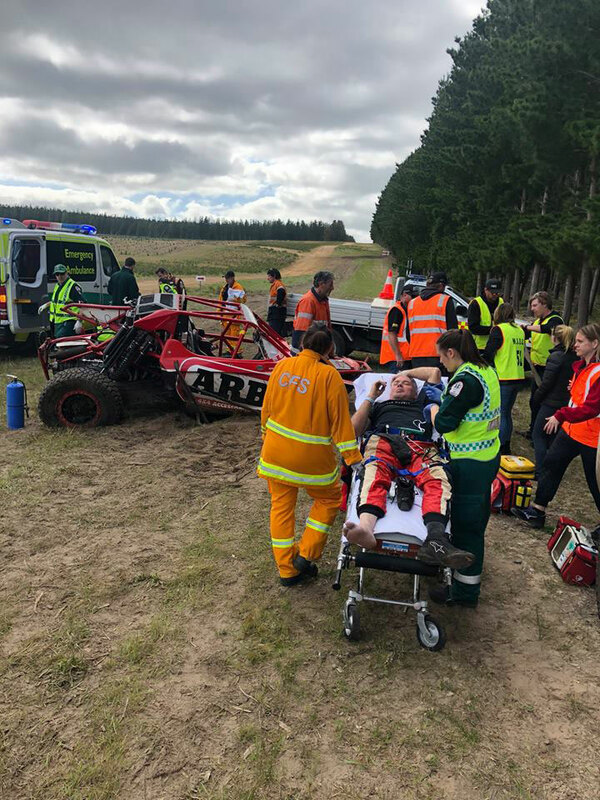 Thank you for the extraordinary care in looking after us and ensuring we were both ok.
To the Millicent Sand Buggy Club, Murray and Julie Rogers and the AASA – We would like to thank you for the professionalism and care during a hard time. Under the circumstances, everything ran smooth as silk with no panic or stress, thank you for the kindness shown both during and after the crash to both Mark and Myself as well as our family and friends. To Dean Williams and Eric Schlifelner, thank you for designing and building such an amazingly strong car. The immediate roll cage around us remains unbent and it’s a credit to your engineering and fabrication skills that we were able to walk away from this incident. The car was a jet and a pleasure to drive. 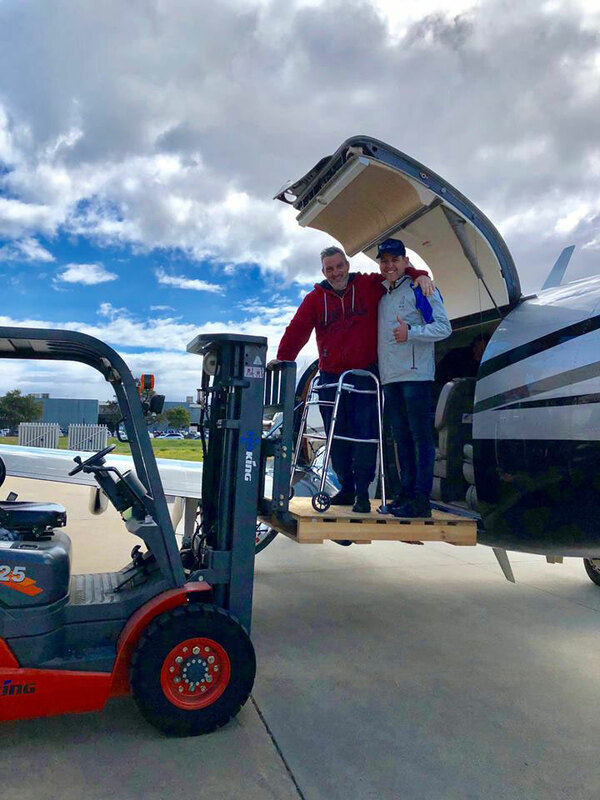 Lastly we would like to say a huge thanks to our crew (Paul Anderson and Phil) friends and families for getting everything sorted and home safe while we were incapacitated. Whilst the race car did not make it and wont see a race track again, we will be back competing once we are all healed up.